Today China officially unveiled the world’s longest high-speed rail line! The 2,298-kilometer (1,428-mile) railway connects Beijing in the north to Guangzhou in the south, and it more than halves the travel time between the two cities. Trains running on the new high-speed line hit 300 kph (186 mph), cutting the total journey time by more than 12 hours. The line officially opened Wednesday when a train departed from Beijing at 9 a.m. for Guangzhou. Another train left Guangzhou for Beijing an hour later. The major stops along the way between China’s capital and Guangzhou in the south will include provincial capitals Shijiazhuang, Wuhan and Changsha. 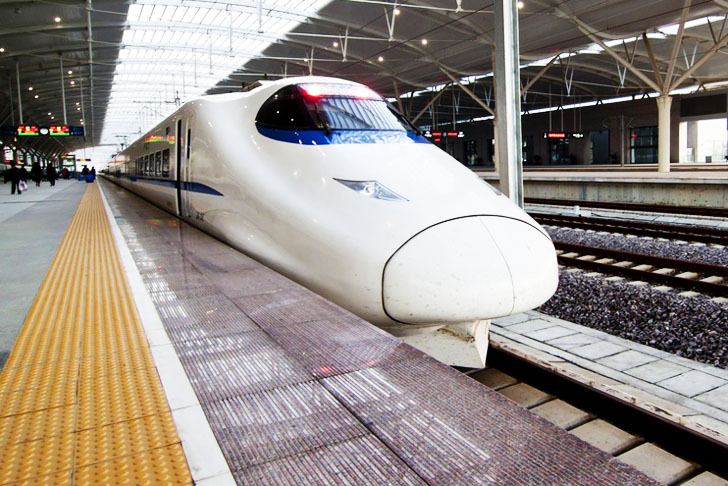 According to the official Xinhua News Agency, citing the Ministry of Railways, more than 150 pairs of high-speed trains will run on the new line every day. The railway network has been at the center of safety scandals, particularly related to a deadly bullet train collision in July 2011 that killed 40 people. In recent months the construction faced serious problems, as part of the line collapsed in central China after heavy rains. However, the Ministry of Railways claims to have established different emergency pre-plans and rescue systems to improve the emergency response ability. 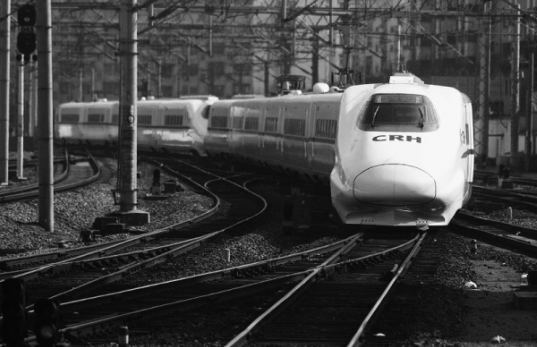 As one of the world’s largest and most ambitious infrastructure projects, China’s new high-speed rail line is the beginning of the government’s larger plan to build a grid of high-speed railways with four east-west lines and four north-south lines by 2020.